Halloween is over! Or, is it?? 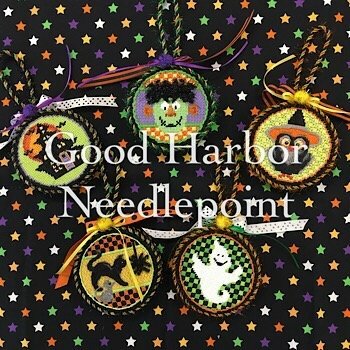 Not at Good Harbor Needlepoint! 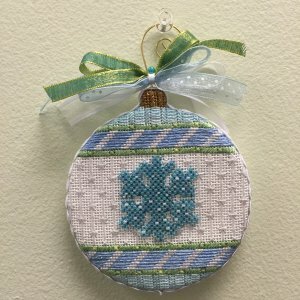 Each kit includes a canvas, stitch guide, and threads. There are beginner, intermediate, and advanced kits. In other words, something for EVERYONE!! Set to begin in December 2017, this design by Painted Pony will be brought to life by Sue Reed who will also be writing the stitch guide. Many of you know Sue from her counted thread pieces, which are just spectacular! She is one of a few Senior Master Teachers in the country and we are lucky to have her as our resident teacher here in the shop. She has just begun pulling threads and coming up with ideas for stiches. We anticipate that it will be a 3-4 lesson club with shipments about every 6 weeks or so. 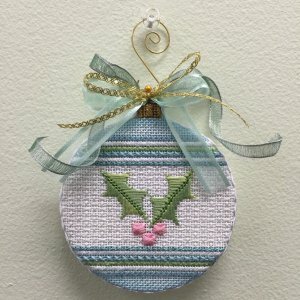 You may sign up to buy the whole kit which includes canvas, stitch guide, and threads. There will also be an option for just the stitch guide and thread kit, or just the canvas and stitch guide, but these will not ship immediately. They will ship after the holidays. 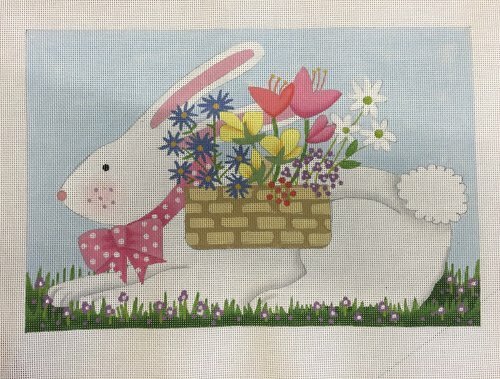 Details: Canvas is painted on 18 mesh and is approximately 13 x 14.
bunny designs. The club will ship in three installments ( May, June, and July). 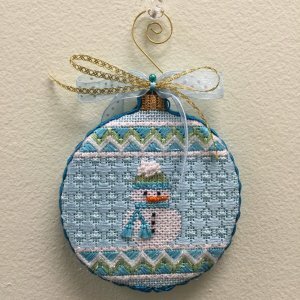 Exclusive stitch guide written by Susan Rokowski. 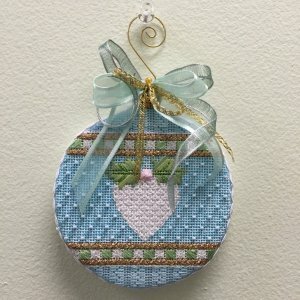 Canvas, thread kit, and stitch guide available April 2017. 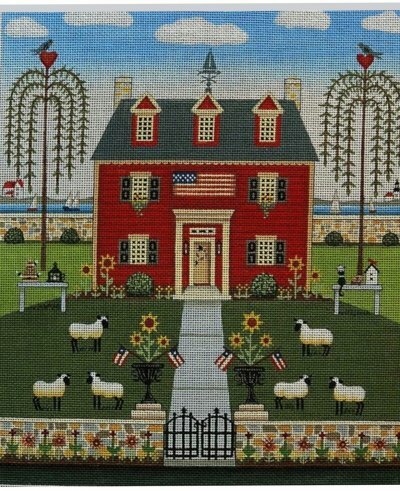 Our 2016-2017 club exclusive to Good Harbor Needlepoint. 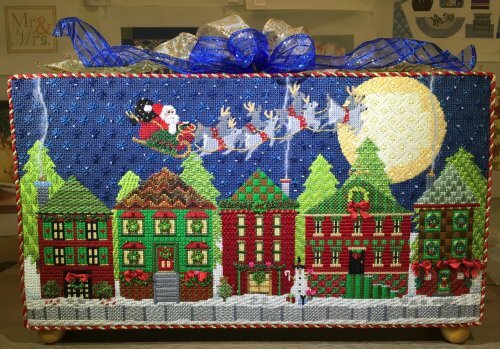 The canvas, a Melissa Shirley design, features festively decorated row houses and Santa in his sleigh packed with presents, as he delivers them throughout the neighborhood. 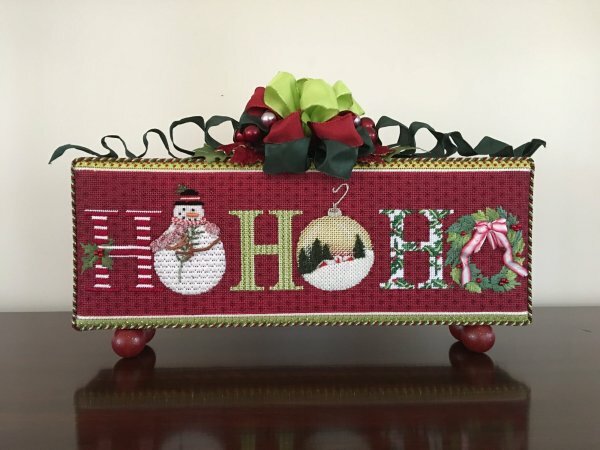 Patricia Sone did an amazing job of bringing this canvas to life and her stitch guide will take us along on our own journey! Club is now finished. Stitch guide & canvas are still available. Please call the shop for details @ 978-969-1748!! Good Harbor's very first exclusive series! 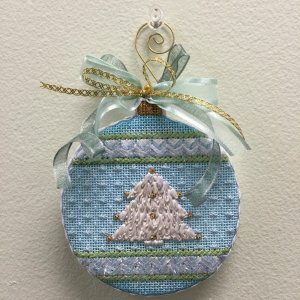 Canvases by Melissa Shirley with stitch guides by Patricia Sone. 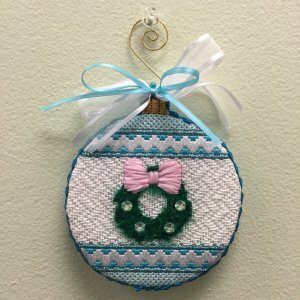 Each ornament is available individually, by special order, now that the series has finished.